What's it about? Aspiring actress Mia (Emma Stone) and struggling jazz musician Sebastian (Ryan Gosling) find the path of true love doesn't run smooth when they meet, dance and sing through their relationship together. It's a musical in case you hadn't heard. Is it any good? 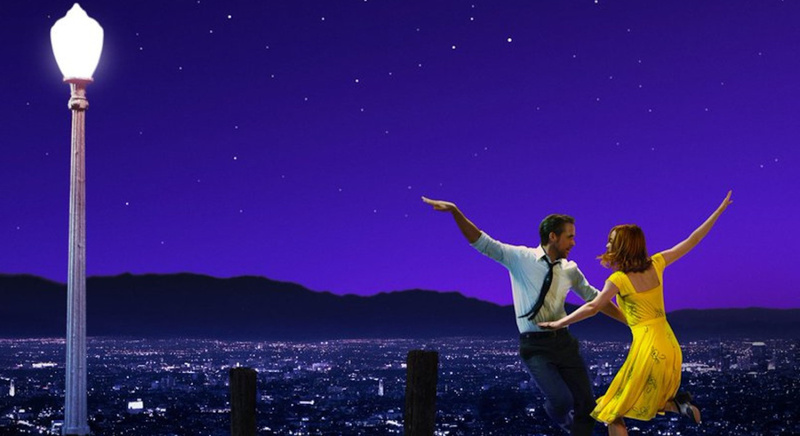 It would take a hard heart not to fall for the charms of La La Land. Alas, it seems I have just such a heart. I found it good, but not great. 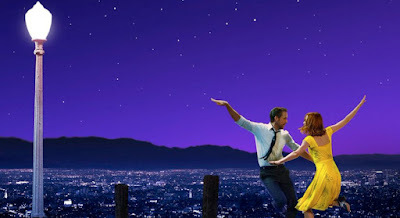 Being a homage to classic musicals from Hollywood's past, as well as a general love letter to the movies in general, it's obviously gone down well in Hollywood and looks likely to walk off with Best Picture at this year's Oscars. It's clearly an accomplished film, so why didn't I like it more? Let's start with the good stuff. It's book-ended by two excellent musical sequences, kicking off in ambitious fashion with a colourful song-and-dance number filmed in one take during a rush-hour traffic jam, and finishing with a wonderful epilogue, a bittersweet swirl of imagery and music which encapsulates the whole film. The problem lies in the rather baggy middle section, during which nothing much happens to make us really invest in the two lead characters. Mia is tolerable, but despite the undoubted charm of Gosling, Sebastian in particular comes across as a bit of a, well, dickhead. And who could warm to someone who doesn't like A-ha's Take on Me? Perhaps I'm being a bit harsh. After all, in a movie-world filled with sequels and CGI, it is encouraging to see someone like Chazelle trying to recapture the timeless appeal of those old movies, when talented performers could sing, dance and act with consummate ease. But therein lies part of the problem. I've seen the musicals which inspired this, and this doesn't really have songs, dancing or singing as memorable as those (although main theme City of Stars has grown on me after a few listens). Stone and Gosling make an appealing couple, dance well and can hold a note, but Fred and Ginger they ain't. That may make me sound ancient, but I'm justified in not being all bound for La La Land. Anything else I should know? Well, I guess you may want to know about those old movies which inspired this? Indeed, if La La Land makes people check them out, it will have done its job well. Stuff like Singin' in the Rain, Top Hat, An American in Paris are clear influences on the early parts of the film, whilst Jacques Demy's The Umbrellas of Cherbourg inspires the more melancholy moments. Elsewhere, non-musical movies like Casablanca and Rebel Without a Cause are name-checked, whilst there's a few blink-and-you'll-miss-them moments which nod to other classics, like The Red Balloon and The Big Heat. Articles here and here can fill you in more on these. Or you can read exactly why Sebastian is not such a catch in a funny article here. What does the Fonz think? Still worth a jazz hand.